We’ll be closing at 4:30pm today instead of 5pm to enable us to show our support of tonight’s event held by the Bromsgrove Indie Club. The Worcester Road Street Party, being held between 5:30pm and 8:30pm this evening on Worcetser Road, which will be closed to traffic. 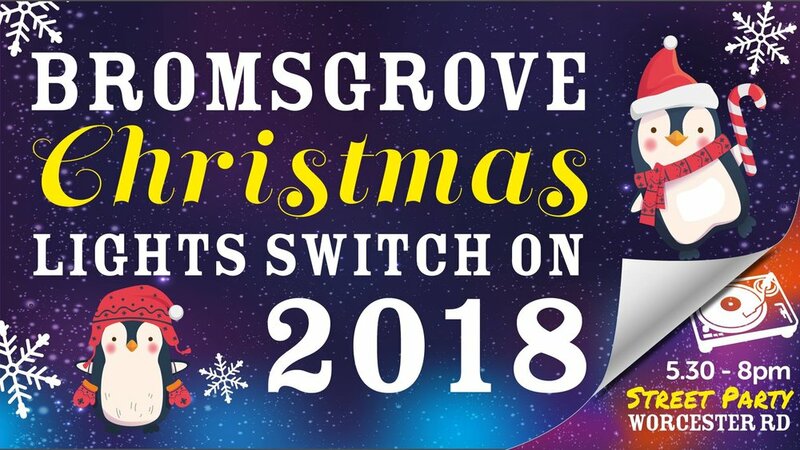 The event will run immediately after the Christmas Lights switch on event in Bromsgrove High Street. The Worcester Road Street Party is being hosted by a number of local businesses, including Bayleys of Bromsgrove, FUSO, The Little Ale House, Salt & Pepper Pig, Casa Med and Ollie’s Eatery. Attendees can expect a great range of food and drink from the hosts mentioned above, and they can also expect live music and entertainment courtesy of street performers, a Samba band, a DJ competition and DJ Kap’t Kirk. It is absolutely vital that the local community engages with events like these. Not only are they awesome to attend, but it helps to support local independent business owners. Spending a few quid on a night out here isn’t putting money into the pockets of faceless corporations, it’s helping to support local business owners, like us! The rise and success of Digbeth Dining Club, which now holds events at multiple locations including Longbridge and Shrewsbury, demonstrate how these events can help support local food and drink traders, not to mention makers of arts and crafts. For more information visit the Facebook event, and we hope to see you there this evening!